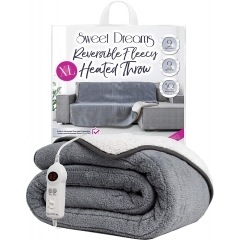 Sweet Dreams’ best-selling brand of luxury fitted electric blankets are designed to give you the cosiest night’s sleep possible, with advanced heating elements and luxurious plush fabric lining. 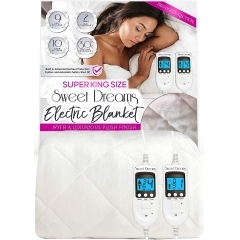 Sweet Dreams specialise in fully-fitted electric blankets that fit snugly to any size bed, meaning you don’t feel any creases, bumps, or wires under your sheets. Every stitch of a Sweet Dreams blanket is made with exquisite fabric, meaning you can fall asleep in the velvety-smooth lap of luxury every single night. 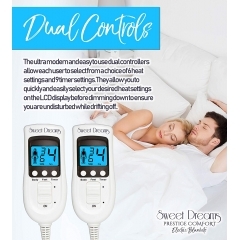 Get the warmth of your bed just the way you like it with the easy-to-use detachable controllers, relax, and let the blanket soothe you as you fall asleep. 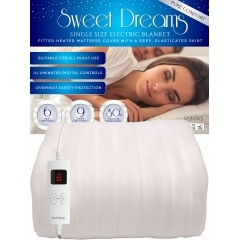 Double size and above electric blankets come with dual controls so you can control each side of the bed separately. 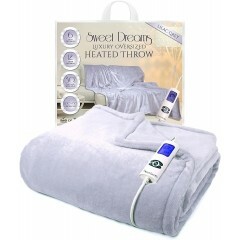 No more arguing with your partner about being too hot or cold – now you can both have Sweet Dreams! All Sweet Dreams electric fitted blankets come with advanced overheat protection, so you can use them under your sheets all night long with complete peace of mind. 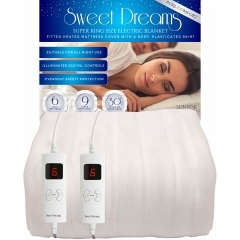 Sweet Dreams electric blankets come in three ranges; Pure Comfort, Deluxe Comfort, and Prestige. 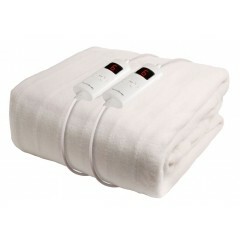 Eco-friendly and affordable blankets that are still of superb quality. 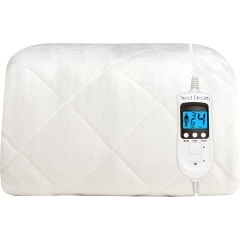 Let the luxurious, cotton-soft fabric and advanced heating elements lull you to sleep for as little as 1p per night. 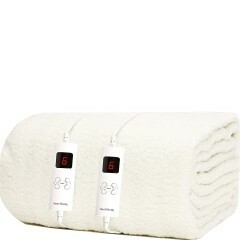 These heated blankets come with an extra-thick plush fleece lining that you can sink into and drift off to sleep. 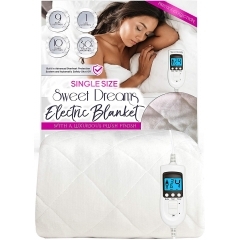 When only the best will do, you want a Sweet Dreams Prestige electric blanket! 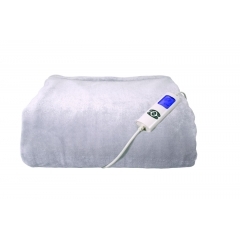 Offering unrivalled comfort with a lavish quilted finish, these heated blankets will send to you sleep in the lap of luxury.